I’m in a rut when it comes to turkey leftovers! Thanks for all the inspiration and for including one of my recipes! OMG – Cheesy Breakfast Stuffing Cakes! I didn’t know I wanted it until I saw it! I am not ready for Christmas at this point but I will be eventually. Thanks for these recipes for leftovers. This year we didn’t have many leftovers but usually we do. These all look so yummy, I’m almost wishing I still had leftovers to use! Sometimes it is the leftover meals that are the best part of Thanksgiving. These sound great. Mmm!!! I wish we had leftovers this year!! They all look so delicious!! We only took home some pie this time! Leftovers are one of the best parts of Thanksgiving! Glazed Sweet Potatoes With Honey And Pecans, Thanksgiving Leftover Cupcakes, Thanksgiving Leftovers Pierogies, Cheesy Breakfast Stuffing Cakes, and the Thanksgiving Leftover Waffles look absolutely amazing! I’ve got to try these! Thanks for sharing. Unlike some in my family (looking at you Mike), I love having leftovers. Especially if I can make a whole new dish like with these recipes. Those pierogies have my name all over them! I love getting creative with our Thanksgiving left overs! Thanks for sharing. Excited to try these ideas! Sick of boring old leftovers. These are great! I cannot wait to try some of these! Thank you for sharing! Love these! I’m going to tr the leftover nachos tomorrow i think that would be a winner with the kids! The waffles really sound delicious. What a great list of ideas here! My favorite Thanksgiving food is ,of course , the turkey and dressing! I would be happy with just that. I really like the sound of that 15-minute Easy Turkey Noodle Soup . I will either do that or maybe make turkey salad sandwiches , you know the same way you make chicken salad sandwiches only with turkey instead. Happy Thanksgiving every one! 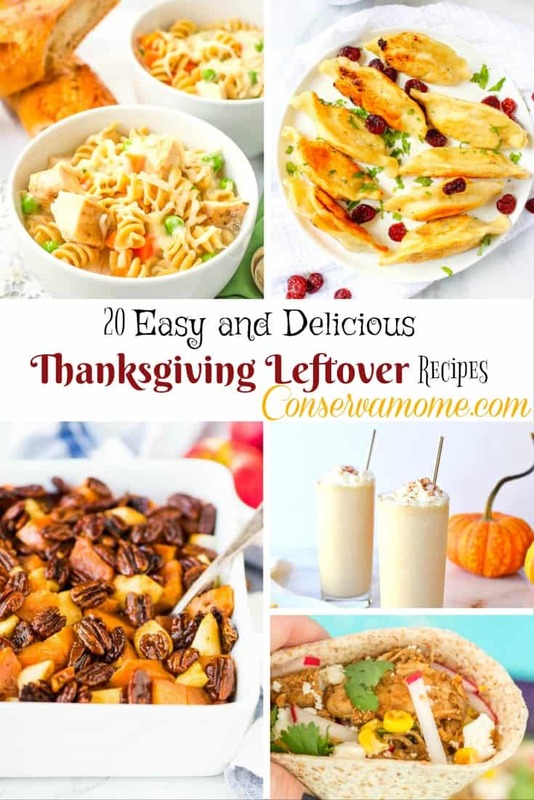 There are always lots of leftovers, so these are some great ideas!